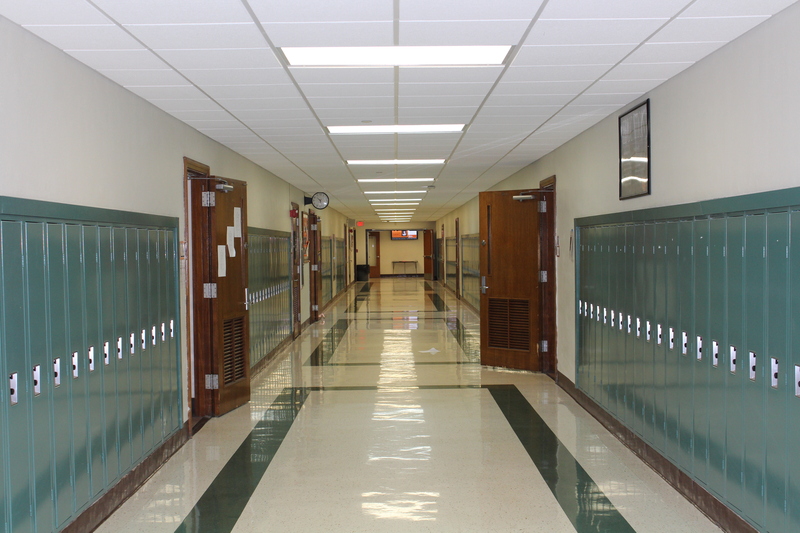 Seventh grade is when Webster students are placed into two separate courses that can decide what math courses they will take throughout high school. Students wanting to take calculus before they leave Webster will need to “double up” on math courses, taking both geometry and Algebra II Trig their sophomore year. The national average of students taking Algebra I in eighth grade is about 30 percent, according to the National Assessment of Educational Progress (NAEP). “This is the beginning course in a sequence of college preparatory courses. Topics covered include solving formulas, graphing functions, analysis of linear functions, analysis of quadratic functions, analysis of basic exponential functions, solving inequalities, solving systems of equations and sequences,” according to the Algebra course description at Webster. Algebra teaches math fundamentals that Erik Hanushek, an education policy expert at Stanford University said,“Can have dire consequences because early algebra introduces the foundational concepts for all higher math,” (if the student is not at a level where he/she can succeed). That is why algebra is important to students and their counselors. If students do not take algebra in eighth grade, they do in ninth, giving the student one more year to practice math concepts before taking on algebra. Some laws could be why the system is like this. Passed in 2001, the “No Child Left Behind” Act calls for schools to start, “raising academic standards for all students and measuring student achievement to hold schools accountable for educational progress are central strategies for promoting educational excellence and equity in our nation’s schools,” according to the U.S. Department of Education. Experts like Tom Loveless of the Brookings Institution, in his study “The Resurgence of Ability Grouping and Persistence of Tracking,” said No Child Left Behind may be the cause of ability grouping and tracking in schools. “No Child Left Behind focused educators’ attention on students below the threshold for ‘proficiency’ on state tests. That provides a statutory justification for grouping students who are struggling,” according to Loveless’ report. Algebra has an end of course exam (EOC) that all students must take. Those scores are sent to the state since it is a state-regulated test. A 2008 report done by MetLife, called the “MetLife Survey of the American Teacher,” shows teachers have difficulty teaching mixed classes of student ability. Responses were 14 percent “agree strongly,” 29 percent “agree somewhat,” 28 percent “disagree somewhat,” and 27 percent “disagree strongly,” according to the MetLife study. Unlike the math department here at Webster, English does not place students based on previous grades their freshman year, resulting in classes with mixed learning levels and speeds. After freshman year, the department does have different levels of classes for students to take, but it isn’t a set track. Webster Groves should reform the math department to be more flexible with students who want to work ahead without having to “double up” on classes.